Home US & World News National News Why do so many people love the AR-15 rifle? UPPER MARLBORO, Md. — There are a lot of reasons people love their AR-15 semiautomatic rifles, and it doesn’t much matter to them what the haters say. But there was also a more visceral reason, involving flesh and blood. 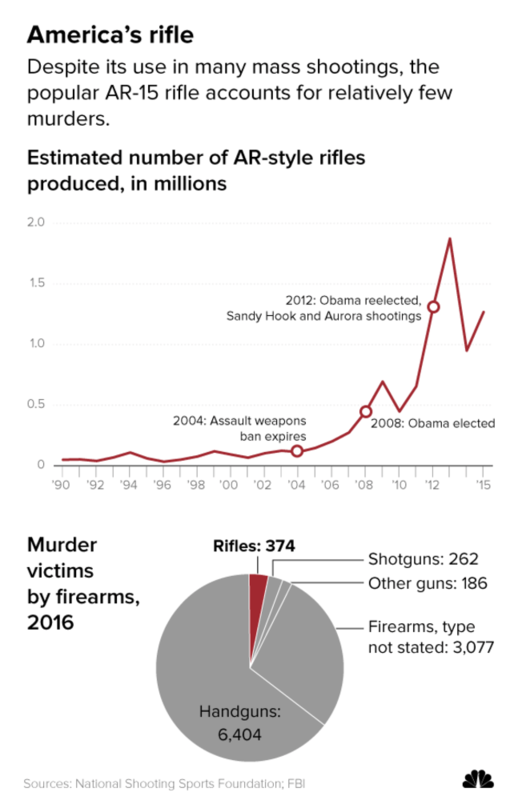 AR-15s inflict much more damage to human tissue than the typical handgun, which is used in most shootings. That’s largely because of the speed at which projectiles leave the weapons; they are much faster out of the muzzle of an AR-15, or similar rifle, and deliver a more devastating blow to bones and organs. Those projectiles are also more likely to break apart as they pass through the body, inflicting more damage. On one of his recent visits to a gun range, Chandler showed what made the AR-15 a cutting-edge gun when it was created, and one reason why it became so widespread. Pushing the gun’s “takedown pins” with his fingers, he broke his gun down into its basic components, and within several seconds snapped it back together. Chandler, who is black, doesn’t have many friends who enjoy guns as much as he does. So he has created a firearm-focused Instagram page to find similarly minded people, many of them millennial first-generation gun owners like himself. But gun-control advocates say the industry has exploited people’s fears and desires, promoting a gun originally designed to kill people. They argue that AR-15s and similar guns cause more damage, and death, when used in mass shootings.